On a warm, sunny day in September, Pat and I headed out to a picnic. But this picnic wasn’t just any old picnic; it was a step into the Gatsby-era world. 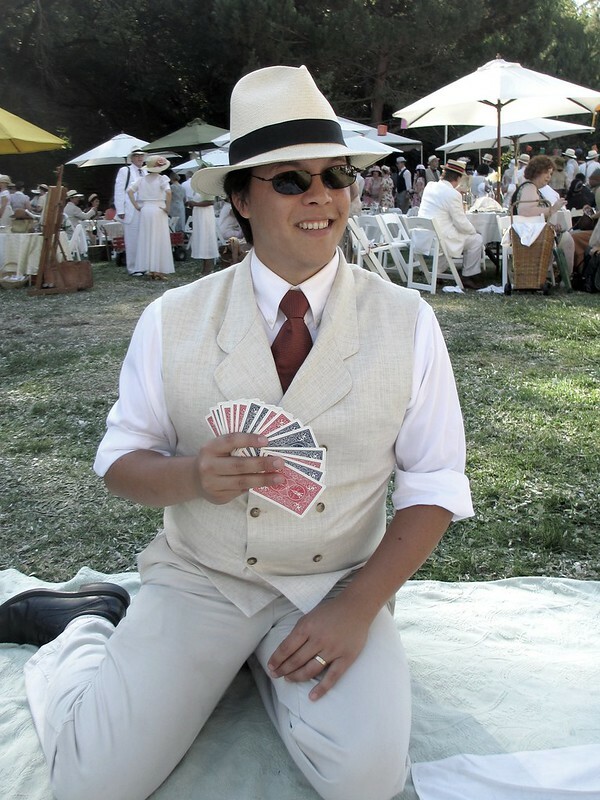 The Art Deco Society of California (which I previously mentioned in a post about their Deco Ball) hosts a “Gatsby Summer Afternoon” every year at the end of the summer season, at the historic Dunsmuir Hellmann estate in Oakland. 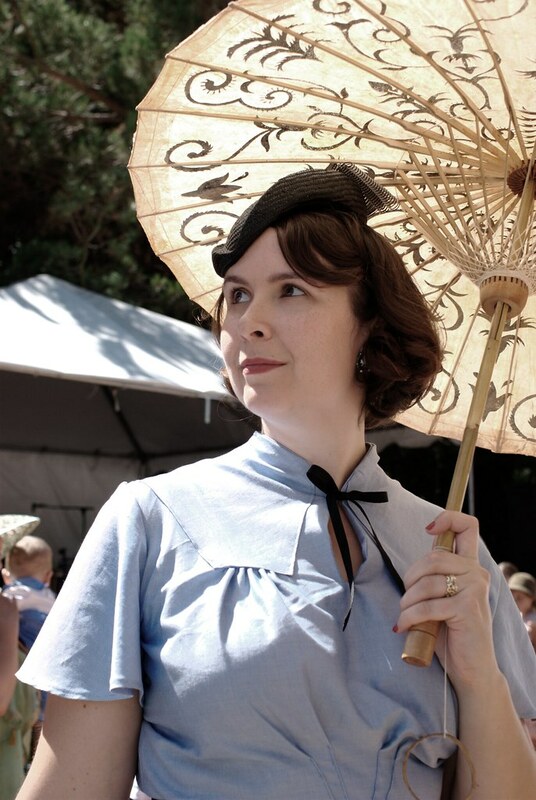 The dress code calls for 1920s and 1930s day attire for men and women, and period-appropriate accoutrements… right down to real glasses and porcelain, wicker baskets – and even a gramophone or two! Pat decked out in menswear to evoke the deco era. 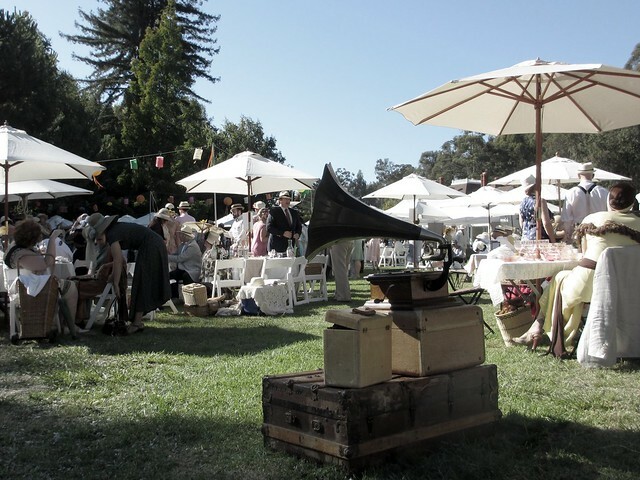 A working gramophone at the Gatsby Summer Afternoon. And in keeping with my usual style, I decided against the straight silhouettes of the 1920s in favor of the somewhat more body conscious style of the 1930s. 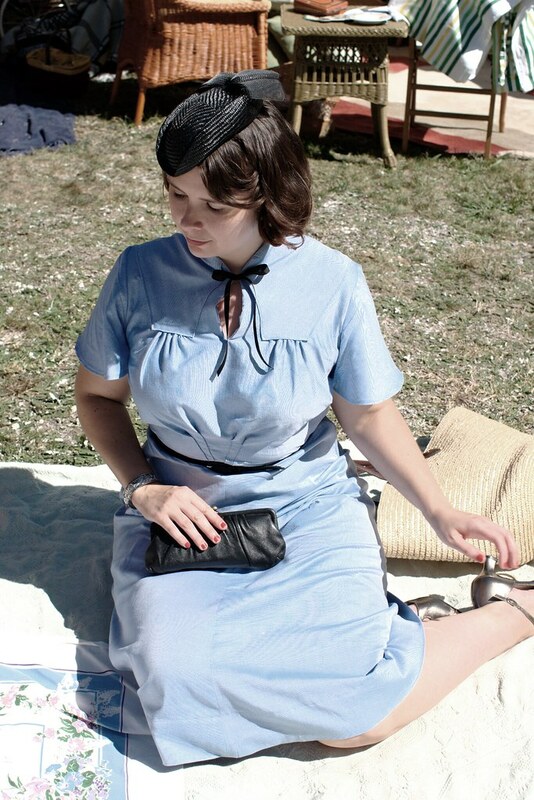 But finding a proper ’30s day dress isn’t easy, so I bought a vintage pattern and sewed one up myself! 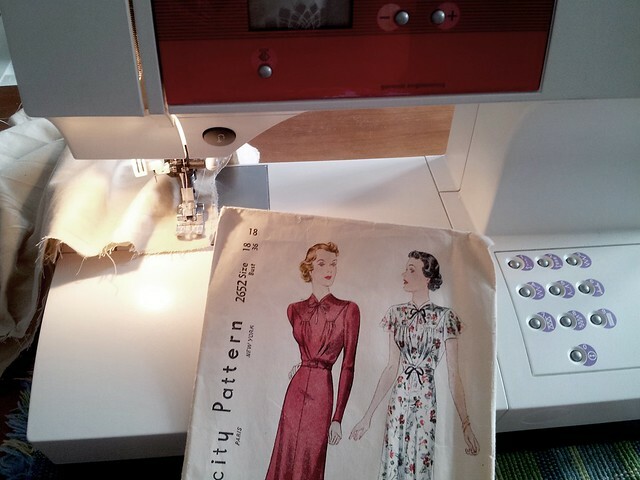 My 1930s dress pattern (photo taken when I was working on the muslin mock-up). The end result: decked out in a 1930s day dress. Prepping for this event was almost as fun as the event itself… but nothing quite beats dancing outside on a beautiful day! Dancing at the Gatsby Summer Afternoon. For those of you in the Bay Area, I heartily recommend checking out the Art Deco Society! In addition to this event and their annual ball, they host walking tours of art deco buildings and publish information about related events put on by other organizations. Additional photos available on Flickr, here.